Round frame diameter 200, 300, 400 mm and square frame 400 and 500 mm. 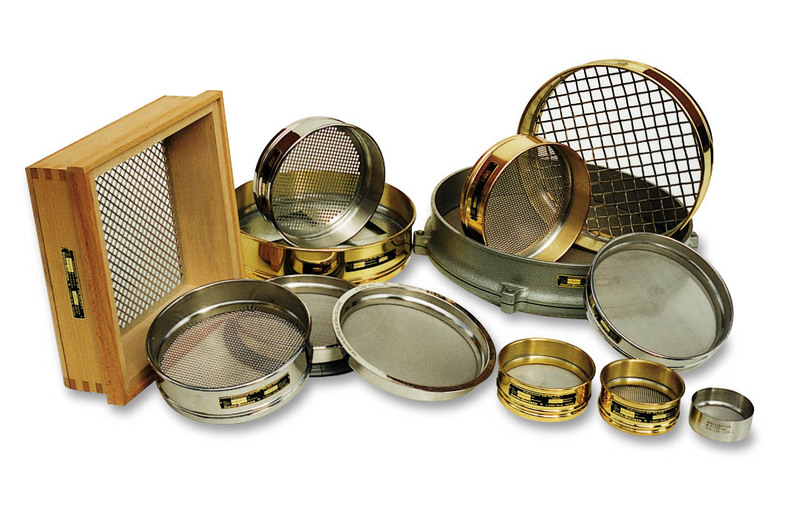 Sieves are made of stainless steel, aluminium, brass and wood. Accessories: lids, bowls and reductions.